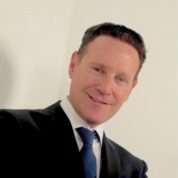 Leo Schlesinger has an MBA from London Business School and additional courses at Yale, Harvard and Michigan University. He began his professional career in 1992 at Sun Chemical in New York and then joined Citigroup´s Global Leadership Program which took him to Santiago, Sao Paulo and London where he stayed until 2002 when he moved to Cigna International Europe and then Cigna USA. In 2005 he joined Gruponueva as a Corporate Vice President of the 1.3BN USD Swiss Private Equity fund and he sat at the boards of the controlled companies (Masisa, Amanco, Plycem). In 2007 Leo moved to Mexico as the CEO of Masisa and became a well-known CEO and sustainability advocate, leading the industry associations and sat at several Non Profit boards. In 2015 became the CEO of Aliat Universidades (a Tresalia Capital company); one of the major higher education private-for profit groups with presence in 19 Mexican states, +50 campus and 55,000 students. Aliat it’s the fastest growing University in Mexico and it includes 16 higher education institutions/ brands that teach from High School, Bachelors, Master and post graduate degrees both in traditional classrooms and online. Aliat´s focuses on the Low income segment and aims to revolutionize the educational sector by bringing the highest possible quality, access and skills relevance to the Base of the Pyramid. It´s doing so by investing heavily in talent, teaching, infrastructure and technology. Leo is also a member of several for, nonprofit and academic boards and continues to advocate for sustainable business. In 2010 he was recognized as a Young Global Leader by the World Economic Forum and has since been an active member of the WEF and in 2011 was recognized as one of the “20 most important ecology and sustainability advocates in Mexico” by the Economista newspaper and in 2012 the Young Presidents Organization awarded him with the Global SEN award to the CEO of the year and also in 2012 became the Chairman del World Economic Forum Davos Global Agenda Council on Natural Capital. "I am proud to support the Global Teacher Prize because it’s about time teachers get the recognition they deserve."